Published October 14, 2013 at 1463 × 1024 in Motorcycle Photo Gallery. 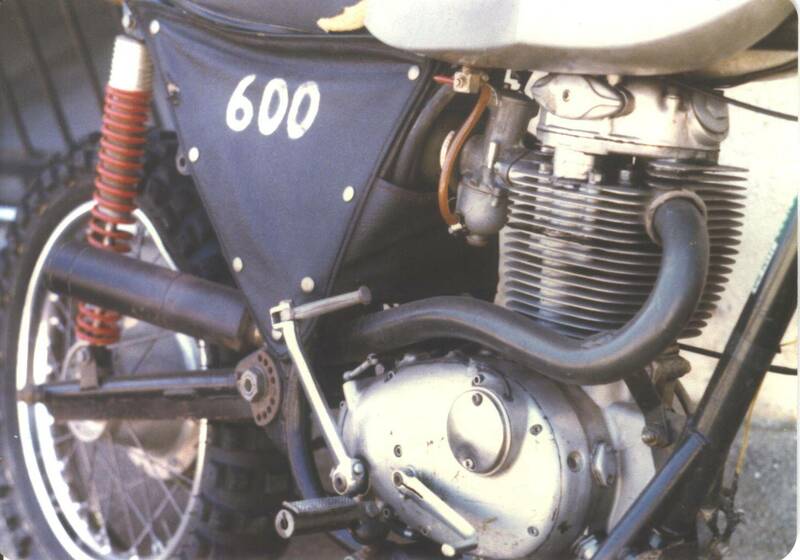 The engine was bored to increase displacement to 600cc. They called me Beezer-Brown! I somehow fooled the California DMV into giving me a plate for it, so I rode it on the street too.